Tie designer Puccini paired a simple solid color design with a very unique dark turquoise-blue color. 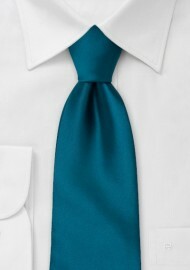 It is a tie that will stand out without adding too much flash and color. We like this tie most when paired with light to medium gray suits. 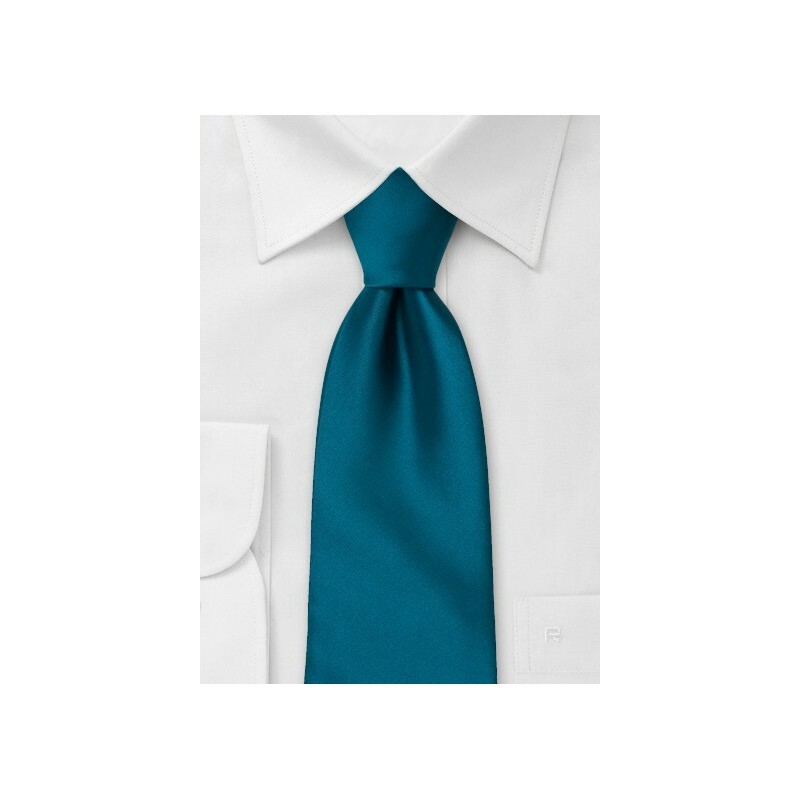 This tie is made in longer length for taller men above 6 foot 3 inches. For any "normal" man we also have this tie in normal length and in kids length. Made form stain resistant microfiber.